In this show I get the privilege of interviewing the Extreme Networker, Billy Funk. 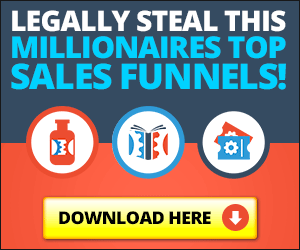 Billy shares his story of sponsoring over 40,000 network marketing distributors using just the phone and an internet connection. The amazing piece of the story is that he did it WITHOUT advertising! How Billy used the phone and the internet to sponsor people like clockwork into his business. How Billy operated his business on the phone, including a live roleplaying session with me playing the part of a burnt out network marketing distributor! The skills Billy believes are crucial to success in the network marketing industry. What Billy thinks of presenting (as a skill for network marketing distributors) and its importance in each stage of your business. How to get people off the fence and collect a decision from them. None of the links above are affiliate links should you choose to visit them. Make sure to thank Billy for spending his time with us today. Billy Funk is the top earner in Kannaway and provided immense value today, thanks again Billy for feeding Alpha Nation!